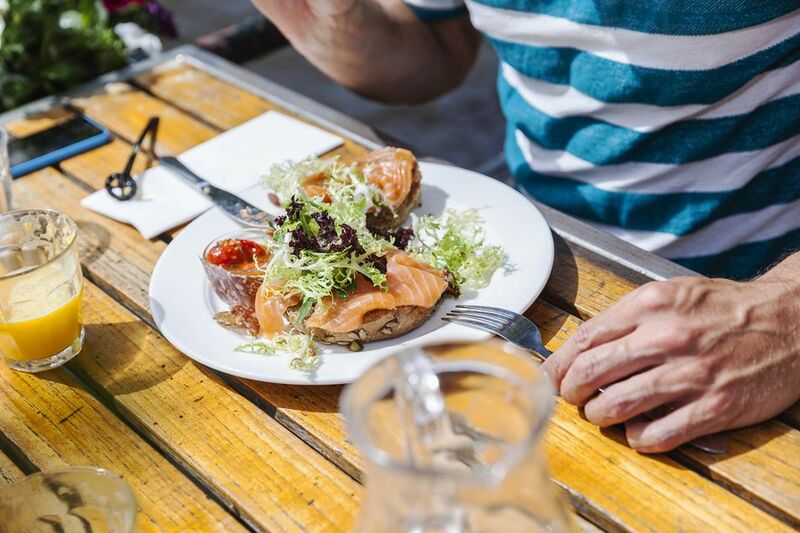 Whether you're moving to Amsterdam or you're just visiting, it's essential to have a well-rounded directory of places where you can have a meal. Whatever you're craving at the moment; a warm lunch, dinner, some coffee, or deserts, here's a roundup of the best spots for adventurous food lovers. The following cheese shops offer the finest selection of fromage in the city (and, some would say, in the world). Holland's grande dame of fromage, Betty Koster, finally opened a branch of her revered cheese shop in Amsterdam's stately Oud Zuid neighborhood in early 2010. L'Amuse (Stadionweg 147) offers some 400 types of cheese from the usual suspects like the Netherlands, Belgium, France, Spain, and Italy but also from regions that are not so well-represented in Dutch cheese shops, such as England, Ireland, Portugal, and the U.S.A. Ms. Koster is deeply knowledgeable about her product and cares passionately about provenance and quality, and even handles the aging of the cheese in her climate-controlled affinage facilities. We recommend their Boeren Goudse Oplegkaas, a piquant and crumbly Gouda that has been aged for four years and even boasts its Slow Food Presidium, an official mark of recognition by the Slow Food Movement. De Kaaskamer (Runstraat 7) remains a favorite stop for cheese in the charming Jordaan shopping district. The shop's name means 'cheese room,' and a room full of cheese it most certainly is! 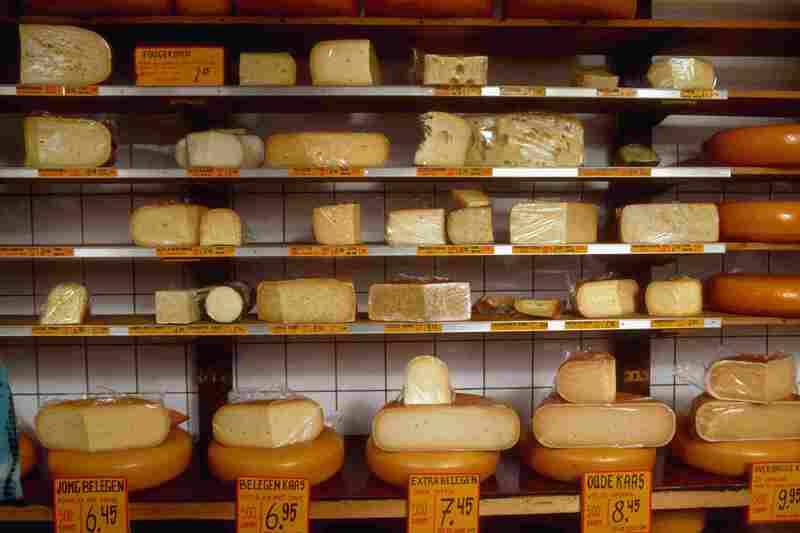 You'll find hundreds of varieties of cheese from all over the world here - piled from floor to ceiling. Even the most discerning cheese lover will be in kaas heaven. Try Le Petit Doruvael, a gooey and aromatic washed rind cheese, which sounds French but is, in fact, deliciously Dutch. With neighbors like Slagerij Fred de Leeuw (one of the best butchers in town), award-winning Patisserie Kuyt and MSC-certified sustainable fish shop Fishes, Kaashuis Tromp (Utrechtsestraat 90) is in good company. The shop, which is part of a national chain, offers vinegar selection of Dutch and international cheeses, with plenty of samples. Taste a variety of Reypenaer cheeses at the Reypenaer Tasting Room (Singel 182). We particularly recommend Wyngaard Chevre Gris aged goat's cheese and Reypenaer VSOP, a crumbly, aged Gouda-style cheese. Caulils (Haarlemmerstraat 115) delicatessen stocks cheese, charcuterie, pasta and risottos, lobster, conserves, and wines, among other things. Erik's Delicatessen (Beukenplein 16) has a good selection of cheeses (I love the ash-covered chevre pyramid) but also sells olives, charcuterie, and wines. Meeuwig & Zn (Haarlemmerstraat 70) may not sell cheese, but they take the cheese where it comes to olive oils and vinegars, although a purist may argue that they should switch to dark glass bottles. They also have a small but brilliant selection of mustards, olives, spices, and other goodies. De Taart van Mijn Tante (Ferdinand Bolstraat 10) is an over-the-top tea shop that offers a menu of fabulous cakes in uber-kitsch surroundings. Oh, and if you're planning on tying the knot in Amsterdam, arrange to have them make your wedding cake. For sit down dining and take away, De Bakkerswinkel (Roelof Hartstraat 68) bakes the city's best cheesecake and rustles up the most amazing high teas. Gebroeders Niemeijer (Nieuwendijk 35) is the place to be if you fancy something sweet & French, e.g., tartelette au citron, trendy financiers or cannelé. Pompadour Patisserie (Huidenstraat 12) is a bakery and tearoom with old-world charm in the picturesque Jordaan area. Admire the 18th-century interior, while you stop off for coffee and cake after a busy morning's shopping. For the ladies who lunch, or somewhere to take away a delectable piece of culinary heaven, there's Patisserie Kuyt (Utrechtsestraat 109-111). Small World Catering (Binnenoranjestraat 14) makes the city's most covetous carrot cake. Winkel (Noordermarkt 43) sells Amsterdam's best apple pie. It's always rammed here, so you will have to fight your way to a seat, but it also means that the pies are always freshly baked and served warm, straight from the oven. Ask for whipped cream! After a long love affair with all things foreign, Amsterdam's chefs have been rediscovering the simple joys of the Netherlands' native cuisine. Some serve traditional staples such as stamppot and draadjesvlees in all their Ye Old Dutch glory, while others offer a new take on traditional dishes, and various restaurants have reinterpreted the very definition of Dutch food by using regional products and old-fashioned ingredients in brand new ways. For a Dutch treat that ​will bring a smile to your face, try our 10 Best Restaurants in Amsterdam for Dutch Cuisine. 't Arendsnest (Herengracht 90) sells over 600 types of Dutch beer (many are seasonal). De Bekeerde Suster (Kloveniersburgwal 6-8) brews its artisanal beer onsite. Cafe Belgique (Gravenstraat 2) serves mainly Belgian beer. Cafe Eijlders (Korte Leidsedwarsstraat 47) is a beautiful old brown cafe near the Leidseplein, where you'll still find old-school service. Cafe Gollem (Raamsteeg 4) is a Belgian beer specialist, with over 150 varieties on offer. Cafe Hesp (Weesperzijde 130) has been around since 1890 and is a wonderful example of its genre. De Sluyswacht (Jodenbreestraat 10) is a must-see, whether you like beer or not. This former lock keeper's cottage, opposite the Rembrandt house, is just too charming for words and offers excellent views of historic De Oude Schans canal. 't Smalle (Egelantiersgracht 12) is one of the prettiest brown cafes in the Jordaan area. The canal-side seats are worth waiting for. Brouwerij 't Ij (Funenkade 7) brews its organic beer, which can be sampled in a historic windmill. Inside seating is limited, but you can buy beer and park yourself next to the canal in the summer. A. van Wees distillery ((Driehoekstraat 10) has a range of typical Dutch liqueurs and stock some interesting 'food perfumes' too. Wynand Fockink (Pijlsteeg 31). The place to sample authentic Dutch liqueurs as well as a fantastic selection of genevers. Hartog's (Ruyschstraat 56/cnr. Wibautstraat) should be your first port of call if you're looking for wholesome Dutch bread. This artisan bakery in Amsterdam's Oost area specializes in ​whole wheat bakery products, and even mills their flour. They have everything from whole wheat bread to whole wheat croissants and cookies. The bakery is exceedingly popular with foodies in the know, so get there early. Gebroeders Niemeijer (Nieuwendijk 35) sells a variety of authentic French loaves of bread as well as croissants and brioche. Le Fournil de Sebastien (Olympiaplein 119) bakes the best baguettes in town. The French owner comes from a long line of artisan bakers, and the long lines here should prove that he knows what he's doing. Vlaamsch Broodhuys (Haarlemmerstraat 108) offers authentic bread in the French tradition. A joy to behold, and eat. Le Pain Quotidien (Cornelis Troostplein 4hs) is the place in de Pijp for good bread (also on Sundays!). While it's become a bit of a tourist favorite, we still have a sweet spot for Puccini Bomboni's (Staalstraat 17 and Singel 184) bonbons. Whether you prefer tried-and-tested flavors (caramel, cognac or walnut) or you're a chocoholic with a sense of adventure (aniseed, gin or tamarind), there's sure to be something to satisfy. Aside from their handsomely sized handmade bonbons, they also stock cocoa, sprinkles, and other chocolate delights. They lovingly wrap these beauties up so beautifully - in bright purple packaging with a bow - that their bonbons make an oh so tasteful gift. Chocolatl (Hazenstraat 25a) is one of our favorite new chocolate shops in Amsterdam. The shop is specialized in premium international chocolate bars. You'll find everything from famous French chocolatier Francois Pralus' 100% cocoa bar to quirky chocolate sushi sets by Summerbird, Cluizel's tin of chocolate 'sardines' and a chocolate bacon bar from Vosges. Owner Eric Spande is not only personable but also supremely knowledgeable about his products. A rare treat. Metropolitan Deli (Warmoesstraat 135) for Kees Raat's famous (and often innovative) bonbons, pastries and authentically delicious Italian gelato. Van Soest Chocolatier (Utrechtsestraat 143) makes the city's best Sinterklaas chocolate letters, packaged in gorgeous chocolate brown, gold, and turquoise packaging. Van Velze's Chocolaterie & Patisserie (Eerste Oosterparkstraat 7) offers bonbons made from Rainforest Alliance™ certified cocoa in unusual flavors such as sweet chili & balsamico, fennel and Guinness (a nod to the Irish proprietress, no doubt) as well as classic ones like raspberry, champagne or cinnamon. They can also make sugar-free or lactose-free chocolate on request. Poptasi Pastry (Gerard Doustraat 103) makes the best macarons in the city. With 10 branches across Amsterdam, selling some 1.5 million scoops of ice cream a year, Ijscuypje makes its delicious ice-cream according to the Belgian method with cream, fresh milk, and all-natural ingredients. Their refreshing fruit sorbets are made from fresh fruit and juices with no artificial ingredients and additives. Duikelman (Ferdinand Bolstraat 68) offers the best of the best for discerning professional chefs and wannabe Jamie Olivers alike. But aside from their sterling selection - from Microplane graters to cookbooks to impressive professional ovens - it's their service that keeps me loyal (especially for big-ticket items). Duikelman is a family business, and perhaps that's why service-mindedness and a genuine interest in answering your questions and giving the best possible advice come standard here. Don't forget to check out Duikelman's cookbook store, just across the street. De Pittenkoning off the Albert Cuyp market offers top-end lines at reasonable prices. DEKSELS! (Haarlemmerdijk 129), a charming little cookware shop in the Jordaan area with a well-selected range. Studio Bazar offers shoddy service, but a great selection of trendy products. Mevrouw Hamersma (Gerard Doustraat 226). Books for Cooks (Oudemanhuispoort) stocks an ever-changing selection of collectibles and second-hand cookbooks. The organic farmers' markets held on Saturdays on the Nieuwmarkt (in the shadow of the Waag in the Old Center) and the Noordermarkt (in the Jordaan area, on the square that goes by the same name). The rich displays of fruit, vegetables, cheese, bread, and more remind me of the abundance of that 17th century still lives in our city's Rijksmuseum. There is also something to be said for a historic market like the Albert Cuyp that has been open 6 days a week for over a hundred years, come rain or shine. The ​Albert Cuyp market (on Albert Cuypstraat) is an Amsterdam institution, with fantastic fresh fish, fruit, vegetables and everything else your foodie heart could desire. Vishandel Firma Tel (Kloveniersburgwal 13) is the Netherland's largest seafood importer and offers a very wide selection of seafood. If they don't have it, they're usually more than willing to order it for you. There's sure to be something for you at the Albert Cuyp market's fishmongers. They offer day-fresh local fish as well as exotic varieties and shellfish from all over the world. Of course, the herring man should be your go-to-guy when it's herring season (from June). Frank's Smoke House (Wittenburgergracht 303) produces the very best hickory smoked fish and seafood in town. They also offer a selection of chutneys, deli dishes, and culinary gifts. Marqt supermarket is where we go when we don't have time to make it to the market. The Marqt on the Utrechtsestraat near us is open until 21:00 and offers a well-stocked fish counter (and butchery). Chris Kip on the Albert Cuyp market (see above) will take care of all your poultry needs, with excellent chicken, duck, turkey, goose fat, and more. Fred & Yolanda de Leeuw (Utrechtsestraat 92) offer posh delicacies like Wagyu beef, Bresse poultry, and the very best charcuterie, with prices to match. They also have a deli counter with snacks and ready-made meals. Natuurslagerij Rob Rijks offers a good selection of organic meat and poultry, reared with care for humans, animals, and the environment. You'll find this organic butcher on the Noordermarkt farmer's market every Saturday.